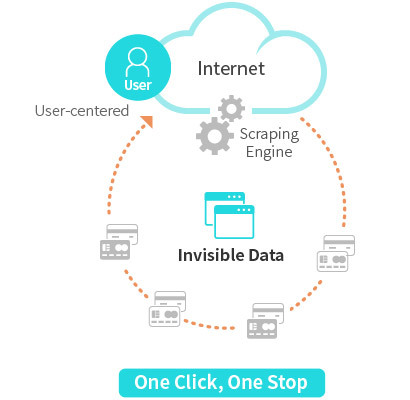 BIG, Finger’s scraping solution, grasps the scope of information required when conducting business, and collects the information based on a scraping. 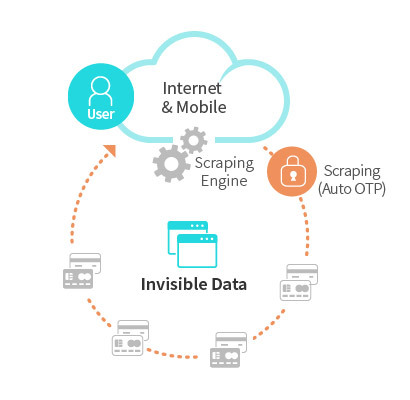 The collected data is provided in a processed form that can be readily used by companies. 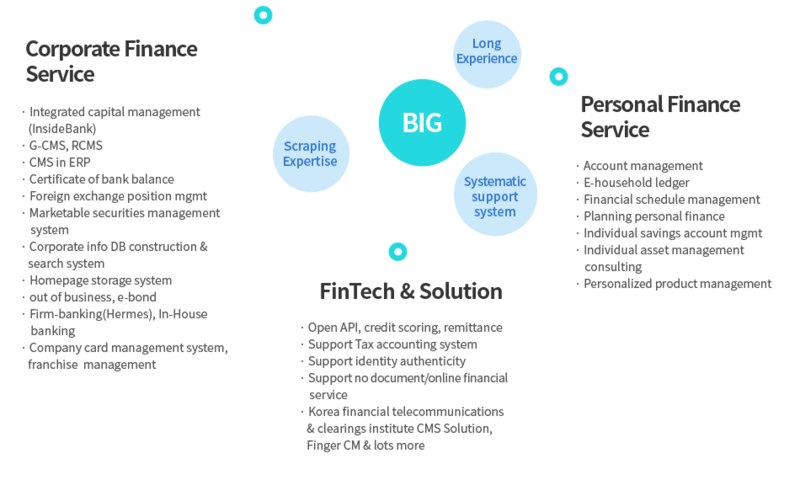 Individuals and companies want to collect financial and non-financial assets the customer has. 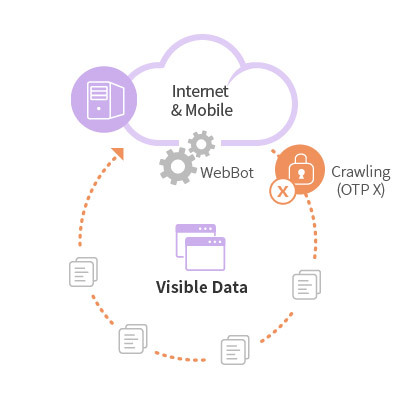 Until now, they have collected data firsthand through spending time and money on marketing, but NOW they can get ASP service through (scraping based) data collecting agency. 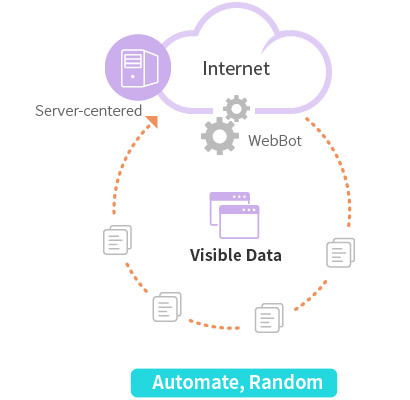 A service that has been fully verified on spending time and money at certifying collected data and speed. 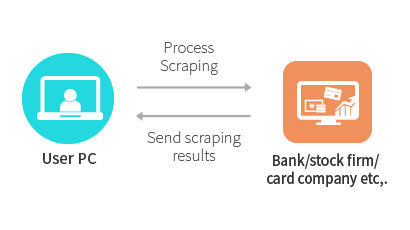 Scraping is carried out by using accredited certificate that is used in financial institutions, public institutions or similar agencies. Therefore security is assured when processing work. 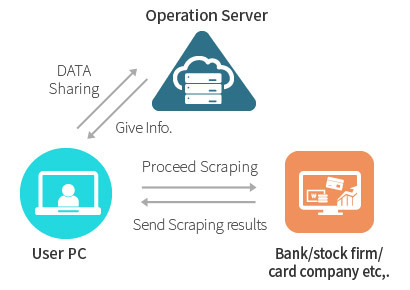 A method of getting the scraped information from the user PC. 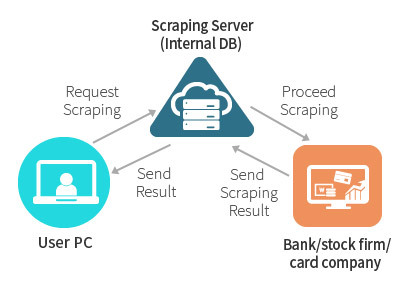 In order to scrape information of financial institutions such as bank or credit card company, use a scraping server of the scraping providing institution and store user information in an internal DB of a service institution, and getting them via internet. 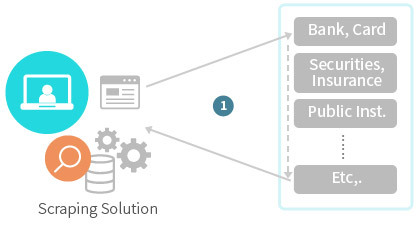 Finger’s scraping is sending some collected client based information to operating server and implementing Data sharing. 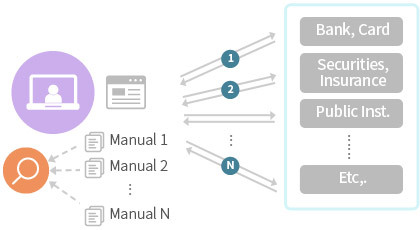 A type that connects information acquired based on Client technique with the server. The following services and solutions are real applied cases implemented in various fields based on Finger’s scraping.